Painters are here starting today at the House on a Hill 2.0, and I can’t tell you how excited I am. Well I could, but you’d probably think the paint fumes had gone to my head. 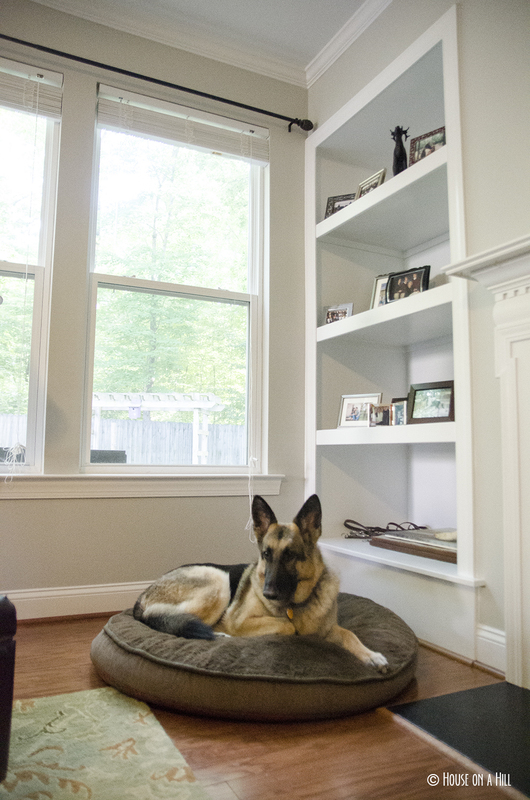 The color scheme that existed in this house is… let’s just say not my taste. 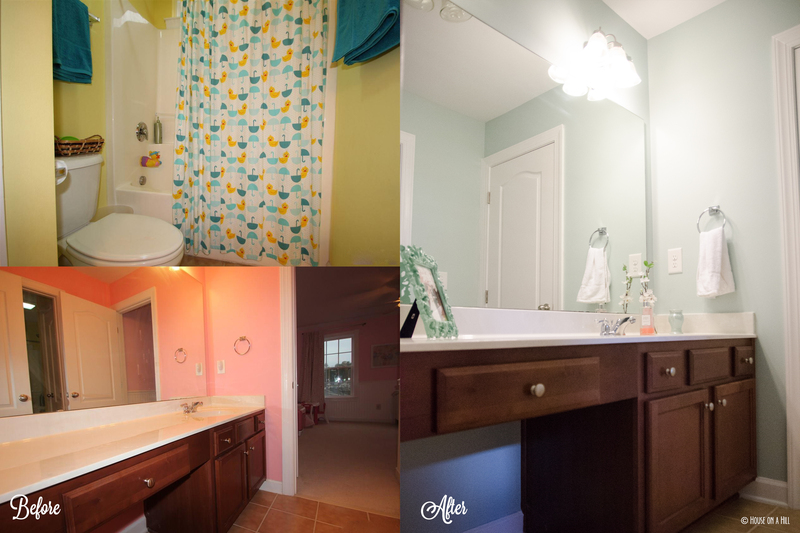 The entire house is shades of beige, with the exception of 3 kids rooms upstairs, all varying stages of a so-cute-and-bright-I-want-to-tear-my-eyeballs-out palette. 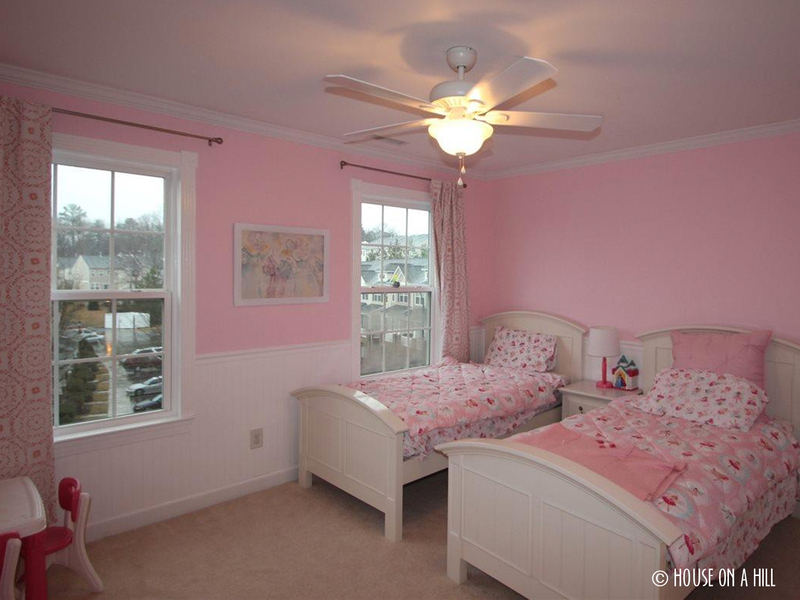 The pink bedroom was the least offensive of the three. Since patience is only sometimes a virtue of mine, and knowing that we’d have guests in this room in a matter of weeks, I took a paint brush matters into my own hands. It probably feels a little stark at the moment, as I haven’t yet got art onto the walls or found curtains long enough for the high ceilings, but it’s progress. 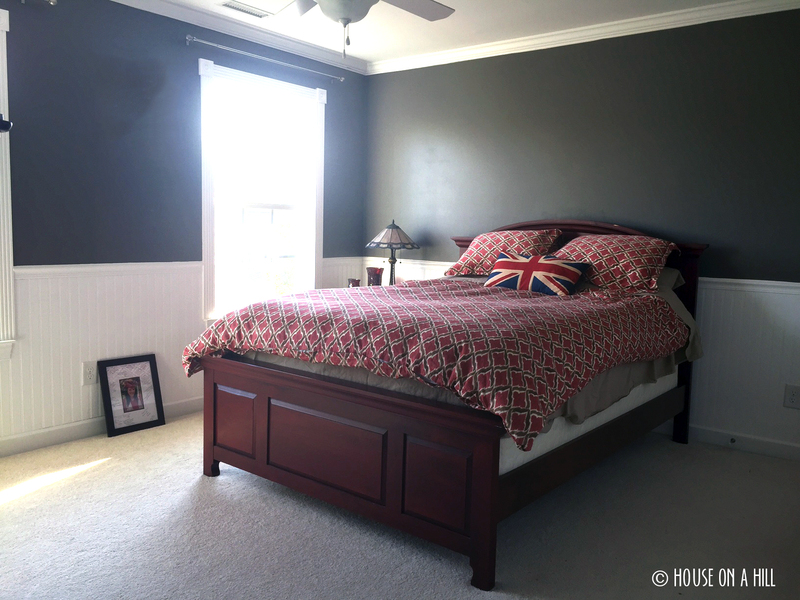 When the painters are done, get ready for a full house before and after post! Happy Friday, y’all!